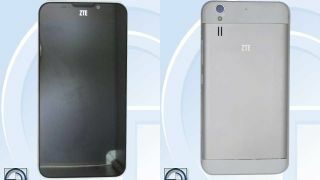 It looks like ZTE is gearing up to launch a successor to its extremely thin 5-inch Grand S handset. A new phone labeled the Grand SII was recently cleared by the Telecom Equipment Certification Center, the Chinese equivalent of the FCC. According to the network license the Grand S successor will come with an even larger 5.5-inch 1920 x 1080 screen. Despite the small bump in screen size, it will remain relatively thin at 154 x 77 x 7.9mm. It will also be rocking Qualcomm's Snapdragon 600 chipset with 2GB of RAM. Overall it seems to be mostly a flat upgrade on hardware except the rear camera has been lowered from a 13MP to 8MP rear snapper. The phone is likely to also have a MicroSD slot as well. The version of the phone listed in the network license comes with a radio working on the TD-SCDMA band, making it ready for China Mobile's network. However there are also rumors that a Snapdragon 800 model for WCDMA networks is also in the works. If this is true, we could see the phone at CES in Las Vegas or Mobile World Congress in Barcelona. We'll let you know if the word on the Internet street is legit as soon as we hear something new on this. In other rumor-y news, Apple might be working on a 12.9-inch 2K and 4K iPads.